This is one of the common issues with the Samsung Galaxy Note 3. More often, owners would know the device is not charging in the morning when they found out the battery percentage remained the same as with the last night's when they plugged it in. There were also owners who found out the phone has a charging problem when they noticed the phone was eating up the battery a lot faster than before that even if they charge it, the battery percentage won't go up. It is difficult to know for sure what really the problem is that is why you need to troubleshoot it to be able to narrow it down. There are two possible scenarios: the phone still has little power left and thus currently turned on when you discovered it's not charging or it has completely drained its battery and you discovered it's not showing the charging icon when you plugged it in to charge. If the phone still has little battery left, restart it and then try to plug the charger to see if it charges. If successful, then your problem was solved by a simple reboot but it could be temporary. Observe the phone closely in case the problem returns. If the phone was totally blacked out, plug the charger and leave the phone to charge for a minute or two, then attempt to turn it on. If it turns on, the charger was working fine as well as the battery and the phone. In case the device refuses to turn on, allow another 5 minutes of charging and attempt the same procedure but make sure all connections are good. Either your phone has battery left or not, this step will tell us whether it is a charger issue or not. I understand that buying a new charger may be a long shot for some so if you have a laptop or computer at home, try plugging the cable to it. If it really were a charger issue, the phone should charge or, at least, respond to it. In case the phone won't charge or doesn't respond when plugged to a computer, the new suspect should be the cable. 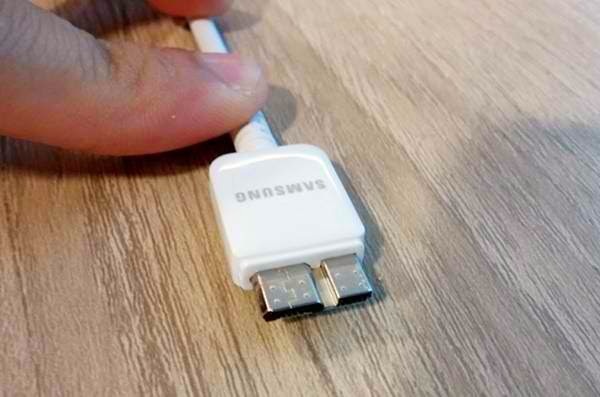 The Note 3 has a different interface or configuration so universal microUSB-USB cables won't work. While we have a new suspect, the possibility of a charger issue wasn't ruled out yet, therefore, it is necessary now to buy a new charger, which will come with a new cable. At this point, there's no guarantee that having a new charger would solve the problem. The purpose of this post, may I remind you again, is to troubleshoot and to know what the problem really is. I recommend you buy a new charger because the phone won't charge or respond to the current charger or when plugged to a computer. If you have a friend who may also own a Note 3, you could borrow his/her charger and try it with your device. Please continue reading the post. Before you actually buy a new charger, if you have access to a new battery or if you could borrow from someone, then try it to see if it were a battery problem. If the phone charges with a different battery, then you will have to buy a new battery instead of a charger. If you also have access to a different Note 3, you can try your battery with the other unit to see if it charges, otherwise, our suspicion that it is a battery issue has been confirmed. Please note that this is also applicable to the charger; you can it with other units to see if they will charge. Another thing, make sure the connectors or receptors on the phone aren't bent or broken. All you need to do is remove the battery and physically inspect them. There is a possibility that it's just a matter of loose or no connection. If you have a new battery and a charger and your phone still refuses to charge whatever you do, then perhaps the cause of the fast battery draining and not charging is a defective charging port. It is a separate component or circuitry that can be purchased separately. If you are confident enough to pop open your phone, remove the charging port and replace it with a new one, then go with it. But you should know that you will void your warranty by doing so. You may want to employ the services of an authorized technician. After all, your phone needs to be thoroughly checked for possible hardware defects or something. If you're under contract with a carrier or service provider, you can bring the phone to the store and have replaced. They are obliged to replace it with a new one or a refurbished one for you to continue using your plan. Or, you can call Samsung and ask for their recommendation on what to do. More often, they will ask you to send in your phone for them to check and if they found out it is beyond repair, they may replace it with a new one. This is, so far, the easiest way to solve the problem without lifting a finger. I am serious in providing support to my readers so if you have a Samsung Galaxy Note 3 and currently bugged by a problem or two, please visit the dedicated support page for the phone. You may also contact me via editor@droidista.com.